Residents at Elmbridge Village organised a small informal gathering to celebrate Queen’s 90th birthday recently. 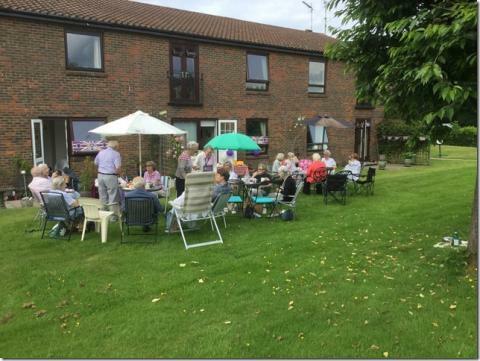 A couple of sun umbrellas, few garden chairs, snacks and drinks – that’s all it takes at Elmbridge to organise a party with friends and neighbours. Thanks to the village maintenance staff the grounds and gardens are always available and make a great background to any social gathering.